Fairfield Bay is experiencing a period of economic strength and stability; Sales tax revenue continues to climb, home sales are high and in 2017 new home starts were the highest in 17 years. The community growth continues with the stunning Luxury Townhome development of Osage Point, and new ‘Tiny Homes’ community. Home is really where the heart is, and the heart of Fairfield Bay is booming! 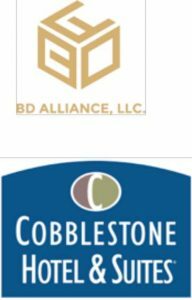 The City of Fairfield Bay along with BD Alliance, LLC and DMC International, LLC both of Birmingham, Ala., are pleased to announce the signing engagement for the development of a new 63-room, 4-story Cobblestone Hotel in Fairfield Bay. Ground breaking is expected in February with an opening date set for Fall 2018. The first hotel in Fairfield Bay, it will be located at 100 Lost Creek Parkway, next to the Fairfield Bay Conference and Visitor Center and the mall area. Construction will be by BriMark Buliders of Neenah, Wis, and will be operated by WHG Professional Hospitality Management. This is one of seven new contracts the hotel group will be developing across the United States this year, and the first one in Arkansas. The Cobblestone Hotel four-story properties give a wonderful sense of arrival. Designed around small town Main Street charm, Cobblestone properties feature state of the art technology, whether staying for business or vacation. Signature amenities include high-speed Internet access, complimentary hot breakfast, convenience store, fitness centers, business centers, and more. 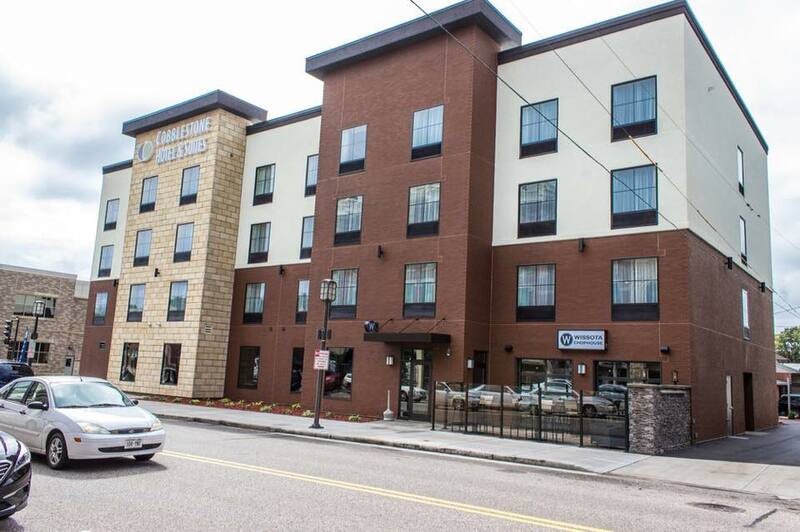 The upcoming Cobblestone Hotel will be designed similarly to the one in Chippewa Falls, Wis., and is poised to change the face of Fairfield Bay forever. Wellenberger believes the hotel will have a direct impact on the economy, with more than $1million annual revenue pouring into the local economy. He is also expecting other new businesses to follow as well as a boost to the existing businesses in town. “The hotel is a game changer in Fairfield Bay”, says Rocky Nickles, Fairfield Bay Community Club General Manager. “This gives our visitors another choice in overnight accommodations. We will now have the opportunity to quickly reserve a hotel room on line, in addition to the many condos and homes that are available to rent. The addition of a new hotel, new tiny homes and the beautiful Osage Point luxury townhouse development will more fully position the Bay as a destination ready to welcome and take advantage of tourism opportunities, as well as local and regional travelers. 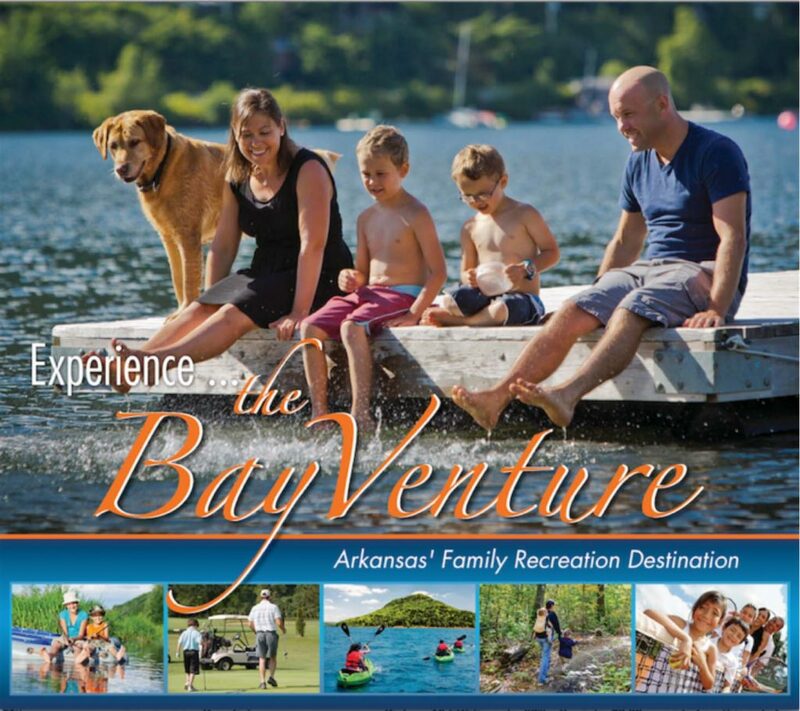 Fairfield Bay is Arkansas’ Family Recreation destination. Come plan to stay. Nestled in the Ozark Mountains and situated on the banks of the beautiful 40,000-acre Greers Ferry Lake, Fairfield Bay is an Arkansas family recreation destination. Awarded the City of Distinction for its “Quality of Life”(2014), and for its “Green Initiatives” (2015), Fairfield Bay was also ranked the Safest Community in Arkansas (2015). Located just 75 miles north of Little Rock, Fairfield Bay showcases stunning mountain scenery, outdoor activities, and friendly people who make Fairfield Bay a wonderful place to visit and live. Take a BayVenture today! Fairfield Bay, Arkansas is where friends come to Meet, Play and Live the Good Life. BD Alliance is a new and emerging management-consulting firm. It conducts qualitative and quantitative analysis to evaluate management decisions across the public and private sectors to effectuate socio- and economic growth and change. Based in Neenah, WI Cobblestone Hotels, LLC® is a leading upper-midscale hotel brand with over 134 hotels open, under construction, or in development in 18 states. The company continues to pride itself in filling the lodging needs of communities through its upper mid-scale new build brand. Signature amenities include high-speed Internet access, complimentary hot breakfast, convenience store, fitness centers, business centers, and more.